Bloomberg analyzed the 100 largest metros in the US and ranked them by Gross Metropolitan Product (GMP) per capita. Essentially this is how much value or output the average resident contributes to the economy. The greater the GMP, the more money you are likely to be making if you live in that area. The San Jose Metro ranked #1 on the list by a significant margin. 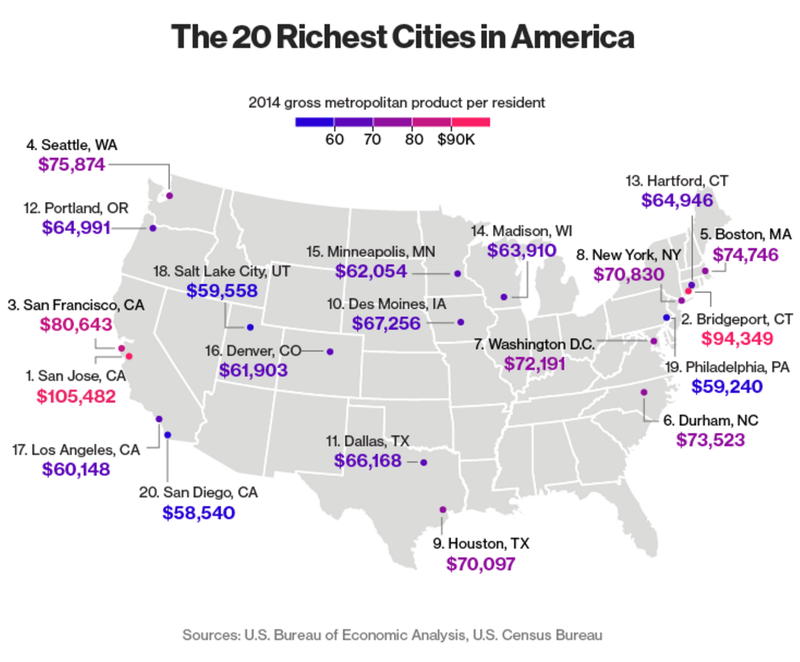 San Jose's Gross Metropolitan Product per resident was an astounding $105,482. Bridgeport, Connecticut came in second with $94,349. In third place was San Francisco with $80,643. New York was 8th with $70,830.